This are the generated questions from the authors regarding publication. if you cant find your query answer from this then please feel free to ask us to editor@ijedr.org. Prospective authors are invited to submit original papers (not being considered for publication elsewhere) in standard format (that is provided) describing new theoretical and/or experimental research by online as well as offline. For online paper submission kindly go through our website and click on SUBMIT PAPER ONLINE link. 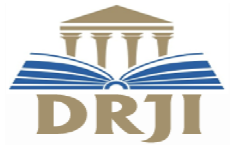 www.ijedr.org. The link “Submit Paper Online” leads you directly to the submission system used by that journal. For offline you can send mail to editor@ijedr.org with the paper, details about author. How much does it cost to publish in an IJEDR journal? Publication charges are available on our website. If an author has got more than one accepted papers, then authors have to pay the payment as paper wise individual. Authors have to pay the publication fees in the IJEDR Account only OR through our PayUMoney Payment Link. Once the author submit the paper to IJEDR, authors got the notification for submission of paper within 1-2 days. Then after we will proceed your paper further for review process. Review process take maximum 5 days for reviewing research article and plagiarism issue. After that we will notify to authors regarding paper accepted OR Rejected. If author got the notification of paper accepted then authors have to pay publication fees and submit the required Document. After receiving the submitted document from the authors to us, we will publish paper within 4-5 days. Entire process for paper publishing take approximate 2 to 5 days. Does IJEDR provide templates and style files for preparing a journal article? IJEDR provide the Paper template for preparing the journal article. Sample paper format is available on our website. Submitted papers need to be in MS Word format with file extension .doc or .docx. If your article accepted by our editorial committee, you have to pay publication charges and submit the required document by single mail to editor@ijedr.org within one week. Which document I have to submit the IJEDR after the paper accepted? IJEDR provide AUTHOR HOME on website.so the corresponding author can track the article online. Article Tracking will guide you from the moment your article has been accepted until it is published. Every step is described and will let you know whether action is required. Also IJEDR will send the mail for all the status to provided corresponding author’s mail ID. Once author submit the paper to IJEDR, author got the paper Registration id in corresponding author’s mail id. Then after author can log in and check the information and status about the paper like Authors Details, Paper Details, Status of Paper, Status of payment, Status of Submitted Documents, Status of Paper Rejected/ Accepted, Status of Paper Publish, Certificates copy, Confirmation letter copy and published paper copy, Hardcopy related details. 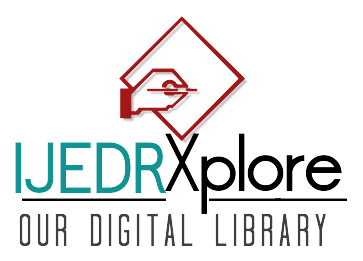 IJEDR has therefore decided not to make systematic use of the technical possibilities that an online publication offers and not to simply replace a published document with an updated one. After online publication, further changes can only be made in the form of an Erratum, which will be hyper-linked to the article. How do I join the IJEDR Editorial Review Board? We would like to invite you to join the board of our managing editors who are actively participating in selection of papers and appointing editors for peer review as managing editors and we are certain that with so much enthusiasm and support, we can make our ambitious goal a reality. We invite you to make a special issue in line with your expertise. If you are interested, please write to editor@ijedr.org. You will receive a follow-up or confirmation email from us within a few days. We request you to send CV and a Recent Photograph with mail of consent to info@ijedr.org as soon as possible. Please note this is your responsibility to motivate your peers and students (at least five articles) for quick publications. Roles of editor is Handling peer review of article and promoting at least 5 articles for each volume. Once your paper will be published, you can directly download the softcopy of the certificate, confirmation letter, and Published paper from AUTHOR HOME. We will NOT provide Hardcopy of the certificate, Confirmation letter, and published research paper. If author want hardcopy of the Certificate, published Research Paper & Confirmation Letter, then you have to pay additional charges. Authors have to makethe request from his/her AUTHOR HOME account for the hardcopy. How I Contact to IJEDR?